FANBOY PLANET.com . : 2015-cinequest-dennis-lehane :. 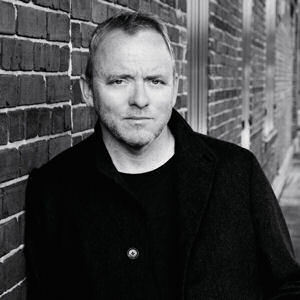 Dennis Lehane will be receiving Cinequest's Maverick Spirit Award on Saturday, February 28 at 11 a.m. at Camera 12. Tickets for the event and other great activities at Cinequest are available here. Ever since his first novel, A Drink Before the War, introduced the world to blue-collar detectives Patrick Kenzie and Angela Gennaro, Dennis Lehane’s gritty thrillers have carved an electrifying path in contemporary crime writing. A master of the dark and hypnotic, most of Lehane’s novels take place in the Boston neighborhoods where he grew up – full of people doing their best to get by, and often dealing with getting by not getting good enough. When you think of the tough “Southie,” as portrayed by actors like Matt Damon, Ben Affleck, and Mark Wahlberg, you just have to look to Lehane’s work to understand them. His first film as a writer/director, Neighborhoods, predates Damon and Affleck’s Good Will Hunting and covers the same beat. It’s no wonder that Affleck would turn to Lehane as a source for his first directorial effort, the searing Gone, Baby, Gone. The films made from Lehane’s books settle in the heart and unsettle quiet minds. Mystic River, Gone, Baby, Gone and Shutter Island all provoke audiences to challenge their assumptions and keep trying to make a difference in the face of darkness. Though Hollywood loves adapting his incredible books for the big screen, that doesn’t mean Lehane is content as the honored novelist. He brought his blazing vision to television on two of HBO’s strongest dramas, The Wire and Boardwalk Empire, as well as serving as producer on the latter. He finally returned to screenwriting by adapting his own short story “Animal Rescue” into 2014’s The Drop, which featured the final performance of James Gandolfini. Though his work may strike many as dark, the man is not. He has found time to play himself on ABC’s Castle, and his guest spots on The Late Late Show with Craig Ferguson provided some of that show’s best moments. For years, he has also taught at Harvard. Always Lehane returns to chronicling men and women struggling with the darkness within and without – some succeeding, some failing, but always trying. His current projects include a screenplay about the online black market for medication, Silk Road, and the American remake of the French film A Prophet, about a young Muslim inmate rising to the top of prison hierarchy. Not easy subjects, but vital and necessary works. Dennis Lehane may not let you be comfortable, but he will let you be human. Most importantly, what this maverick won’t do is let you be blind, because he knows we are all in the struggle together. Sometimes it feels like the darkness in men’s souls becomes too much. Sometimes the world just closes in. Good men do the best they can, and sometimes there aren’t any good choices, just those that are less bad than others. And yet they have to try. Send us feedback on our Facebook page, email or tweet us @FanboyPlanet!